The beautiful thing about heading to Disney is that no matter the age of your child, they will remember and love different things each and every visit. When they are toddler age, they love to see and interact with the characters and when they become more school-aged, it’s all about the rides! No matter the age of your child, there is seriously something for everyone at Disney! Trust me on this. Even as an adult, you will have a ton of fun getting to walk around and revisit your childhood memories! 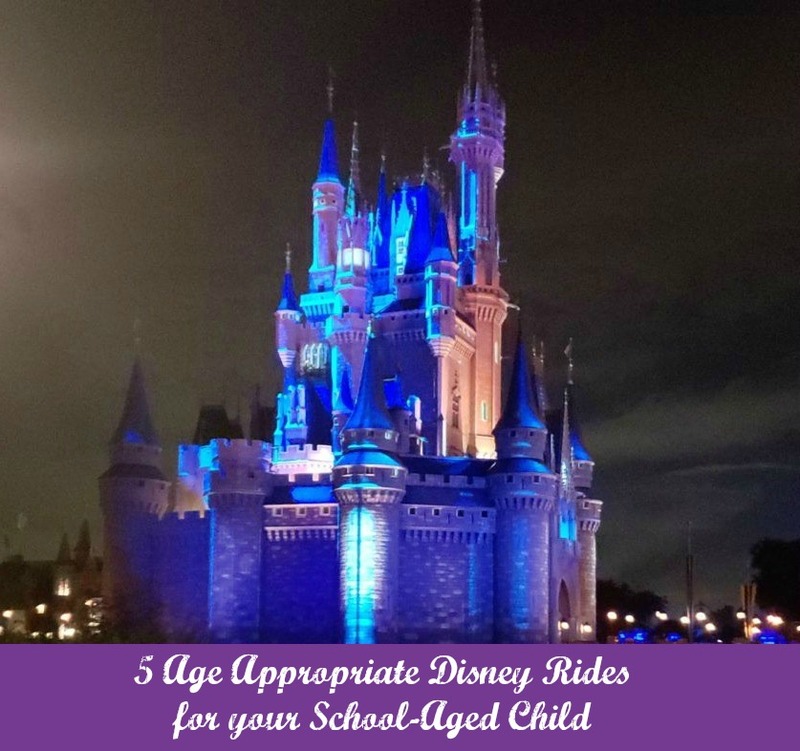 And if you are looking for a few suggestions on rides that are age-appropriate for your school-aged child, here are a few suggestions that they are certain to love. My little Princess ready for a day of fun! Peter Pan’s Flight. No one ever wants to grow up, right? Take your child on a journey to Never Never Land with this fun and imaginative ride that is truly great for all ages. While it may be a slower ride in terms of speed, it does not disappoint on the fun factor! Big Thunder Mountain. Talk about a ride! If your child is looking for a roller coaster ride that is certain to bring a smile to their face and a few screams from their mouth, this is the ride for them. It’s one of the few roller coasters out there that was made for family fun in mind! Space Mountain. Everyone seems to know about and want to ride Space Mountain. And can you blame them? Fast turns, big drops and all in darkness? Seems a bit daring and fun all at once. Don’t overlook the fun of this ride! It’s one that is always a huge hit for families that are traveling to Disney. Seven Dwarfs Mine Train. Who can deny the cuteness of the seven dwarfs? And with this fun ride, you’ll get to be right in the middle of the Enchanted Forest. While the drops are smaller on this ride, there is still a much-needed need for that speed! Your child will have a blast riding this fun ride as it’s really great for all varying ages. Splash Mountain. While this ride does have a height requirement (40 in. or more), your child is certain to have a blast. Be prepared for them to get a little wet…and when I say little, it’s more like a lot! What do you expect when they are traveling down a 5-foot drop?! Get that camera ready! From the moment that you enter Disney, the energy and the ambiance is truly out of this world. Nowhere else can one feel this type of magic and say that they get to spend the next few days at the happiest place on Earth. Your child will have a blast and the options for the rides that are there are truly amazing. Narrowing it down to 5 suggestions for your school-aged child was hard! The best part about Disney? Getting to be there with your family. It truly is such an amazing and exciting bonding time for everyone involved that it’s important to treasure your time there together. Let your little ones be a part of the planning and have them pick out a few rides that they are certain that they want to ride as well. The more planning that you do together, the better chance that you will have of hitting all the rides that you and your crew want to! You don’t want to take the chance of leaving Disney without riding every ride on you or your child’s bucket list. Start with these fun suggestions and then add to your list. When you visit Disney, the sky is the limit for everything that you can do!